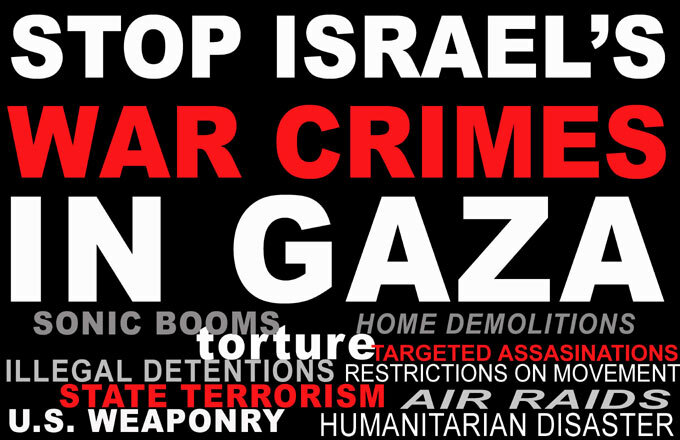 Please consider downloading and printing these posters for use at your protests! 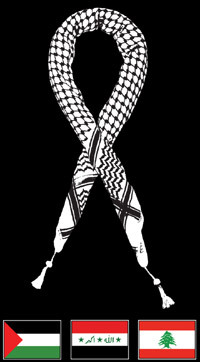 Also see our new solidarity ribbon bumper sticker... using the kuffiya (a symbol of solidarity) tied in a ribbon, with the flags of Palestine, Iraq, and Lebanon, who's peoples are at the receiving end of the brutal US-Israeli military machine. 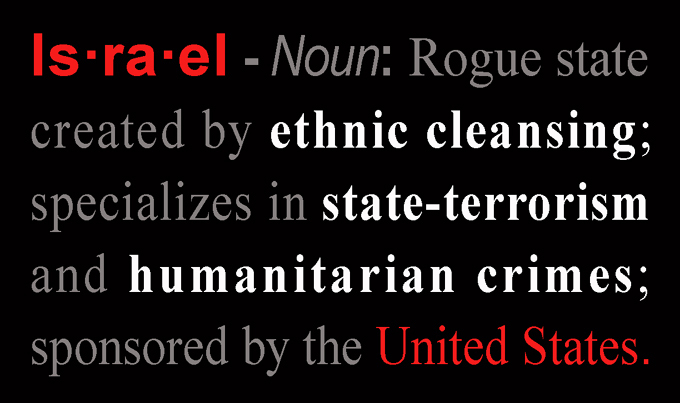 Price: $3 (plus shipping and handling), of which one dollar of each retail purchase of this sticker goes towards aid to the Palestinian refugee camps in Lebanon - see our appeal for details. Or... get it for free when you donate $10 to our Emergency Appeal for the Palestinian refugee camps in Lebanon. 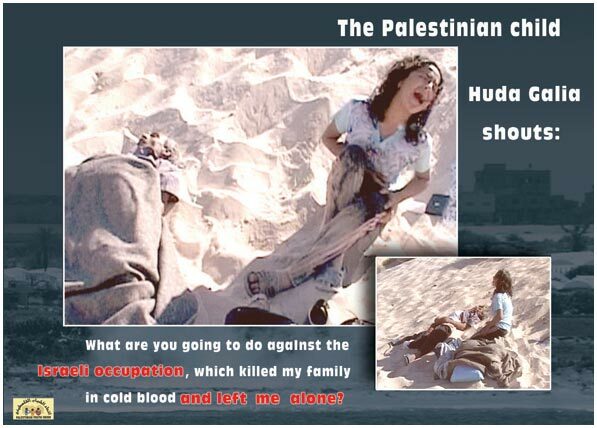 Also see our poster, made in Palestine, commemorating Israel's slaughter of Huda Ghalia's family on the beach at Gaza.